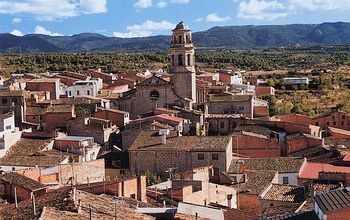 Three small contrasting villages in the Garrigues, approximately an hour's drive from Barcelona, form the basis for an investigation into the economic, social and environmental impact of rural depopulation in the region. The impact of depopulation in some of the villages is evident in the loss of services, the number of abandoned fields and gentrified second homes. Some villages have suffered more than others, and primary data collection seeks to identify the range of factors responsible. Primary data collection includes evidence for the decline of agriculture-related activities, abandoned farmland, and the closure of shops and other important services. Environmental quality, the impact of second homes and a rural sustainability index are included in the investigation. Follow-up classroom work uses primary and secondary census data to investigate the causes of rural depopulation and their social, economic and environmental consequences. Students are able to develop a management plan for the sustainable development of the rural economy. This fieldwork is supported with secondary data and takes a full day.